The secret to a comfortable wig. A Wig Cap is central to the success of any disguise or costumed appearance. With this accessory, you can impart a realistic feel to the wig and protect your real hair at the same time. Imagine playing a chrome dome like Humpty Dumpty or Elmer Fudd and then having your hair slip on to your face. Not cool for any thespian in the making! A wig can make or break an appearance, whether you're after hair as big as Cher's or just a simple transformation for a night. Tuck your natural hair under this sheer wig cap so that strands do not slip out from under the wig, particularly at inopportune moments. The cap, made from nylon, will stretch comfortable over your head to keep your locks in control. 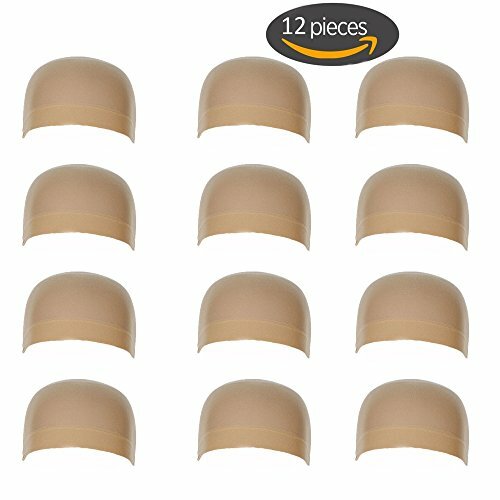 Get under the skin of your character with this wig cap under the wig. A wig cap is a useful fashion accessory to have in your wardrobe. No doubt, it is needed for costumes that demand a wig, but feel free to improvise. Use it on any occasion that demands your tresses be tucked in -- like when you are cooking in the kitchen. Material: High quality nylon wig cap. superior quality. Soft, thin, light let you feel more comfortable when using. Function: Help you hold your hair in place when wearing a wig, like cosplay, costume and any fashion wigs. If you have any questions about this product by Meiyoo, contact us by completing and submitting the form below. If you are looking for a specif part number, please include it with your message.